3) The JPG settings are very customizable! Surely not news to existing GR owners but it looks flexible enough to deliver good results SOOC depending on taste. This is going to require a lot of trial and error to get it set right. @DPR: "Shop now" link points to a Canon. Just got mine, it's the third GR I've owned over the years, so I'm obviously a fan and I think it's the best GR yet. The only thing that's a little disappointing for me is the battery life, but it's a good tradeoff for image stabilisation, sensor cleaning and a touch screen, like Chris said an extra battery is a good idea. I cycle everywhere and the one handed operation, snap focus and the 28mm focal length make it a fantastic camera for one handed shots while riding. All in all it's a fun to use high quality little camera that can live in your pocket, I love it! BTW mine has the slightly wobbly control dial some people are concerned about, to be honest I wouldn't have noticed it and it doesn't bother me in the slightest. Looks like a fantastic update to an already-great camera! It seems a little pricey, but maybe that will come down with time. I also wish this had a flip screen, as waist-level shooting works really well for me in trying to be unobtrusive. What about the handling? For example, it doesn't say anything about missing the exposure compensation and AF-S - C-AF controls which for me it's so good to have, that's why I just bought a GR II for half of the GR III price. I don't think it was mentioned in the video, but is it possible to turn off image stabilization to extend the battery life? Yes, you can disable the SR, and the camera even offers an 'Auto SR' mode that disables SR when the camera is using faster shutter speeds. Handy, battery saving feature. Now how-the-hell did this review get completed ahead of the S1 / S1R? Because this camera is interesting. Is there no written review? Dude, what about the hotshoe you put the viewfinder on ... can't you put a small flash on that ... is it for a flash ... if so is it TTL with a Pentax flash? Yes, Pentax flash can be used. This is a really good camera. I did like it from the review. But as an X100 series fan, can't wait for Fuji to up their game in the fixed prime lens camera field. It's been 2 years already Fuji what are you doing? Much, much better image quality? You didn't actually watch the video to the end, did you? If you don't know or value the advantages of a dedicated camera over a phone – with or without the help of above video-review – then I guess you're better off sticking to your phone. night shots that look good on a screen bigger than 6"
Happy owner of the Ricoh GR III and Huawei Mate 20 X - one of the best camera phones. 1) Photos which are displayed on large 4k monitor (way more sharpness). 2) Night shots without ugly lens-flares around the street lights. 3) Sharp photos of a moving children in available light, because it is easier to adjust the minimum shutter speed with the dedicated camera with 3 user modes on the dial. 4) Any post-processing in Lightroom. 1) DOF control (SW based but still quite good). Shame the Ricoh doesn't have a f/2 lens. 2) Ultra wide shots with that UWA camera. FantasticMrFox How do you know? Because the largest phone sensors are smaller by several magnitudes than APS-C? @ScanSpeak: actually I have a 24" 4K screen and usually pictures look better, maybe because of the pixel pitch, but on 55" it's another story. I take a lot of one handed shots while cycling and the GR is so much easier and better than my iPhone for this. Great review, glad to hear the new lens is an improvement - I was quite worried about that (in the ‘if it ain’t broke...’ type of way). Would love to hear IQ and usability comparisons with the Sony RX100 series. The GR only going to offer an advantage for stills, as far as specs go:). As I mentioned awhile back in another posting/comments section, I don't know what to think of the GR III. I personally (subjective) like the output, size, the fact that it (finally) has IS, a dust buster, and a 28 MM lens. All of these things tick off the right checklist for me. However, I can't get over that $900 USD price. Now if this were priced at $600 USD, then there'd be no hesitation on my part. I think I'll just sit back and wait (and watch) to see if these are selling in droves that will cause Ricoh to keep it at the current price level - or, if the sales are not what was originally anticipated. In that event, I would wonder if Ricoh would drop the price some? My not having had a previous Ricoh camera (other than a 35 MM model used back when I was a Marine in VietNam in 68/69), is Ricoh/Pentax known for dropping the prices after a period of time? I know that with some brands you'll rarely see a price drop. It’s like the Nikon A, in that regard. These cameras don’t make it easy to extract their full IQ, and have a lot of limitations, compared to some 1in cameras. So I really hope the used market price plummets the same way the A did ;). Prices of GRs typically are stable over several years. You may need to wait several years to see the $300 price drop you are hoping for. The GRii is under $600, maybe that’s an option for you? How much are you going to miss that 300 dollars at the end of your life? A great camera but too expensive for most. Should be just above XF10 . I have the XF10. I like it, but it is heavily compromised by design. Arguably, Ricoh can get away with charging as they do because Fujifilm put on such a poor show. There’s nothing else to compete with Ricoh in the segment they now own. Have you heard of the Fuji X100F ? Not really the same segment. The difference between 28mm and 35mm is more significant than you might think. Then there’s the hybrid VF and added bulk. The X100 is its own segment. I tried the XF10 for a week as soon as it became available. Overall its a very nice and a reasonably priced camera. I liked the image quality, design and usability. But its AF is both slow and unreliable even in room light. The GRII at that moment was already out of stock. Fortunately, I came across a new Nikon A that got stuck at one of local stores for all these years. I got an offer I couldn't resist and bought it. I love it a lot. The X100F isn`t in the same category... and the OP is right... the GR III isn`t $450 better than the XF10. I don't get it. It is significantly better than the xf 10, which is longer on the market and thus has a lower street price and it trumps the x100f in sharpness across the frame and some other areas, which still costs 400$ more. Seems like a reasonable position. I see it as a highest quality 28mm lens, where 600-800$ would not be too much - a Zeiss 28 2.8 Biogon is 1141$ - with an attached sensor and with sensational one-hand operability and all adjustment possibilities of a professional camera in a pocketable body. tinetz... how is it "significantly" better than the XF10 (which was introduced at $500)? It's AF isn't any faster, they both have 24mp sensors, both lenses produce quality images (for non pixel peepers), etc ... Don't get me wrong...I prefer the GR, but it is $900 and has many flaws. Seriously? I don't get some people's ability to have an absolute price meter for cameras. The Nikon A has been introduced for 1100€, the GRII for 800€, the Fuji X100F is for 1300€, the GRIII has IBIS, a newly developed corner to corner sharp lens and is ergonomically and sizewise a descendent of a family of cameras from Ricoh people seemed to like that much, that they sold every single piece as fast as they could produce it. In which world would you consider a price of 399 for this product in 2019 just at the introduction in any way sensible? If you think the Fuji gives you the same for this price, go for it. But I'm not alone in thinking that you get with both what you pay for. Where did I ever say $399? After 5 years...the GR III still has antiquated focus compared to most other cameras in 2019. It hasn't improved in high ISO too much either in 5 years. I've used 5 of the 7 Ricoh GR digital models and even a film version. I've checked out the GR III. I've used the XF10. Have you? That said, I'll likely buy a GR III eventually... but it needs some serious firmware help and some QC assurance from Ricoh after the recent recalls. Is this a plea for the XF10 or just a complaint about the GRIII? However, if you are so happy with the first, why wasting time with the latter? My joyful experience with GRII was never related to the AF-speed but the excellent sharpness. If speedy AF is your thing, you might not the target group, but maybe the Fuji might also not be the best choice. My point of view is coming from using the XF10, which I thought didn't get the job done compared to my other Fujis. It also comes from waiting for a proper update to the GR / GR II for many years just to have them drop the ball on the AF. After many years, most Fuji cameras finally have decent AF speed. I figure Ricoh would join them. Most cameras have excellent sharpness IMO. You could be right about me no longer being the target, but I sure was the target when I used the other GR models over a 20 year period. I'm just a little disappointed as a former user. But I'll get over it and buy a GR III used eventually. Well sad. Can't comment on the Xf10 AF, but the tenor seems to be a negative. And the GR should at least top that. But it will not be a sport style tracking cam though. Good luck. The X100F is a compact alternative to a full frame DSLR. The Ricoh GR is a compact alternative to an X100F. Good review. Potential buyers of the GR should be clear about what this camera is for - which is photography, especially street photography, landscape, travel, kids at the playground. It's a great and fun walk around camera. if you're concerned about what this camera can't do it may not be for you. It's not a system camera. It's not meant to be used in all applications. it's tiny. it's the kind of camera you can have on you at all times, and if you don't end up using it you won't be kicking yourself for lugging a bigger ILC camera around. It's beautiful, I still miss my GRI... but it's just too expensive. If it was £500 I'd buy one now, £800 is too much. Simple as that. Why do you keep showing the Q2 in the sample comparisons section of the videos yet it isn't available for us to see for ourselves? Hey guys, a comparison to one of the better camera.phones would be great. Pixel 3, iPhone X etc. My Pixel is amazing me, especially low light (night sight) not sure I'd want to carry a point and shoot around without knowing how much better the dedicated camera could be. Genuinely interested in a comparison, even just studio scenes. If you find your phone's pictures good enough for your use, why worry about the Ricoh's quality? All images from new cameras look the same now. It’s time for something new camera manufacturers. Lulz. It's up to the photographer to make images that don't look the same, not the camera. Still don’t like the color grading of the GH5 video... unnaturally orange skin tones. I've looked at many of the comments, and I'm surprised at how few people have commented about the nearly $1000 official price. This community must have more accommodating spouses than I do! My impression is that quite a few people complain about the price. Perhaps most people (at least those who are really interested in the camera and don't want to just leave a comment) weigh up whether the GRII for $550 (introductory price was also $800) or the GRIII for $900 more suits their needs. Both are excellent cameras and both have unique selling points despite the common concept. It's great to have such a choice. Thanks for including some B/W. I still shoot an old GRD III with a stuck and non-retracting lens occasionally just for its gritty B/W jpg engine. :) I'll be getting one of these. a soy latte ain't hipster. See that grip Fuji? Yes, it is a small camera and has a bigger grip than the X-T20. Why don't you learn from that? Some people like the X-Txx’s just the way they are. They do sell a grip if you feel the need. The Fuji group on facebook shows you how wrong fuji is. For every 10 cameras posted there, at least 7 has added grips to it. Makes not sense at all. Look at the sony's A6xxx series. Compact and a great grip. But my complain for sony is the menus. I have a added grip to my camera X-T20, otherwise I could not hold this horribly designed camera. But I had to glue it to the camera, because the added grip screws on the bottom, making the SD card way more difficult to be taken out. Oh well then, if that's what it says on facebook I guess it must be right. All the X-Txx's I've seen being used in the wild have been grip-less and none of their users seemed to be encountering any issues with taking photos. I've no problem with the grip on my X-T20. If it had a non-removable larger grip then it'd be far less compact. Far less compact? Are you saying that before or after you stick a 4 to 10 inch lens in front of it? This makes no sense at all. This compactness BS. I'm talking about 1/2 inch material in front with the grip. Smaller than the camera's battery. So you don't hurt your hand trying to hold on that tinny grip they have. I guess if you use the 27mm it's not a problem, but anything bigger it's pain. @Rihas I guess some of us like the x-t20 because we like shooting with small compact primes. I would argue that if you want to shoot with fuji’s Larger lenses they make other models more suitable for that, and I’d rather they didn’t ruin my experience by catering to large lens shooters when they already have good options. The most successful apsc camera on the market has a "huge grip". A6400 is extremely comfortable. But hey, you like the X-T20. Good for you. I glued a grip to it. Besides the grip, the camera is pretty solid. A6xxx series. I mention the A6400 because it's almost the same as the other ones. Mirrorless is definitely one of the best selling. The other one would be canon M50 that also has a conformable grip. I used Sugru to make a grip for the front of my X100F. No worries about access to the battery compartment. Sure it looks a bit funky but it works and doesn't add any bulk....and it's cheap and easy to remove if needed. I use the 18mm, 23mm f/2 and 35mm f/1.4, all of which are bigger than the 27mm. I also adapt old manual lenses for use on Fuji. I have large hands and holding the X-T20 is not a problem. *You meant large apertures, not small. Nothing to beware of. At 28mm 2.8 gives a much greater dof than at 50mm+. Diffraction is in play at f/8 on this sensor. I default to f/5.6 for snap. this camera review is good till about 11:20 you may want to stop before you get there. Slight correction...doesn't the Fuji X100 have a 23mm lens that is 35mm effective focal length on it's APS-C sensor? I think it's been streamlined to be a really good discreet street camera. The addition of IBIS supports this. I've shot with a Ricoh GR on the street since it came out. For my style of street, there is no comparison. Not Leica, not Fuji, Not Sony. I've owned all of them. I have two film GR1-V bodies and a GR. On the film bodies the rear curtain flash gives a nice effect. I wish Sony, with its miniaturisation know-how and electronic expertise, would make the same camera, but with its 1-inch sensor, similar to its RX100 but with a fixed 28mm lens. That would mean better AF, longer battery life, an EVF, tilting screen, a built-in flash, and possibly a faster f/2 lens, fixing all the weaknesses of this Ricoh street shooter. For such a camera, a small loss of IQ (from the GR) is not important. How big would you want such a camera to be? 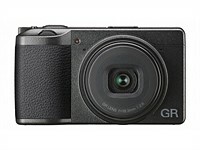 I would love such a camera that's around the GR's size, I find smaller hampers handling a bit. I think Sony could easily fit a f/1.4 or even faster lens if it's a 1-inch sensor on a body that size. @Och, I think it depends on how big a battery Sony needs to put inside its GR-like camera. All those extra features, like PDAF sensor, Eye-AF, etc needs power to work. I would think that f/2 is already a big improvement for such a camera, and, that more depth of field and small size, if not longer battery, are more important than more bokeh for a street camera. Sony RX100 series manage to get much more than just 200 shots ,with flash on half of the time on its tiny battery ,than this Ricoh without flash at all. And Sony does this with a viewfinder, OIS , 4K and many other features lacking in this Ricoh. Needless to say it is also smaller. The 24-70 Zeiss lens starts at F1.8 , by 28mm it gets to F2.2 which is still brighter than a sucker 2.8. That one inch sensor performs really good. Almost as APSC . I’d rather have 1” of Sony than stripped out GR with no flash and miserable battery life. The gap 1" to APS-C is bigger than the gap APS-C to Full Frame. a ff sensor is 2.3 of apsc sensor ....ok? whereas somehow a senor 116 sqmm is somehow equal to an apsc sensor ? If you are not into street or candid shooting, move on. This is a camera is specifically made for that, not for you. Compromises are well chosen, even the lack of flash and the limited battery life. No, it does not double as a family camera or travel camera well. For the street shooter, it is the best there is. The only real disappointment for me is the lack of a tilt screen. I wish there was some comment about the resolution in cropped (35mm EFL) mode, as that is a potential significant improvement and another reason for upgrading (besides the new features already mentioned), given the higher resolution of this new sensor. Owning the GR and waiting for my GRIII, I disagree as to its use being limited to street and candid shooting. I rarely shoot "street", I shoot landscapes, travel and nature(utilizing the macro mode for flowers and insects). It's small form factor and excellent images make for a great camera when hiking or traveling. The 35mm crop gives you 15MP.. very usable and almost the same as the GRII without cropping (16MP). @mgm2. No, it's not "limited" to only street and candids. You can of course use it for hiking, travelling etc, but then the lack of a zoom, EVF, articulated screen plus the high price would make most people wonder, as pointed out by numerous posters. Don't you miss a true wide option for landscapes and a bit of tele for wild life? @Sergey Borachev, @unbelievable, If you think you'll miss zooming or changing lenses then clearly you're not the target audience. However, there are already a lot of cameras that suit your needs. @Duchamps, Read my two posts again. I think you misunderstood my messages. I.was arguing that if street or candid is not one of your interests, it would be hard to justify this camera. I myself love the camera with a fixed prime. There are those however who mentioned travel etc, which can be done with this camera for sure, but they could use better cameras for such use cases. @Sergey, you were not arguing in your first post. 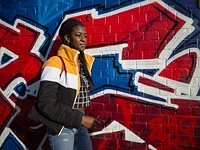 "My advice...If you are not into street or candid shooting, move on. This is a camera is specifically made for that, not for you... No, it does not double as a family camera or travel camera well" is not arguing is simply saying "that is, period". I own the GR and took my best travel shots because it's so small and IQ is so good. And I'm one of those who carry also a full mirrorless set in a bag while traveling but the GR is always in my hand ready to shoot. There is something about the images coming from this camera that just doesn't trigger my enthusiasm. Funny thing is: images from version II have this power. I don't know if the "problem" are the colors, contrast or whatever.......anyone have any ideas about this? I would love to see a rugged type camera with an apsc o m4/3 sensor. With a little sharp 28, 30 or 35mm type lens. Yes! That would be very useful. When phone IQ isn’t enough but don’t want to bring a lot of gear outdoors or where nature and the elements are an issue. Fit in a jacket pocket or cargo shorts kind of size. At least for me, that comes up a fair amount. I’ve taken the ILC or dslr on such trips but inevitably worry about the gear or they get banged up pretty good. The one thing that I always wonder with these mirror less and point and shoot type of cameras is how responsive it is when you use it like for instance how long it takes the shutter to react when you push the shutter button to take an image, and how long before it is ready to take the next image, blackout etc. To me this is a very important factor to consider. It is the one thing I hate with my Canon M5, I never quite know when it takes the picture after I push the button. I cant try to time a head movement to get the shot when I want it. I appreciate that this a subjective, how I feel type of measurement. But would love to know this for a camera like this. I suggest a subjective rating comparison system with say a high end DSLR like a D500, D5, 7DMKII or 1Dx Mark II as a 10 and a mobile phone at say 3-4 as a reference. It's shutter reaction, so sensor priming for capture, is very quick. No, it's not like a Nikon D5. Nor does it have the buffer of camera like the Nikon D5. 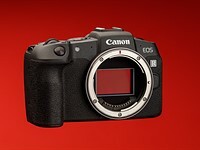 Can't comment regards the GR3 versus the Canon EOS M you mention. there're too many things happened on a mobile phone. Andreas Berglund, I own both D810 and Nikon A. The latter is reasonably fast. I guess the GR should be of similar speed. This weekend I shot with the Z7 with 105/1.4 with studio lighting and this combination was much much slower! Reminded me of my XF10 experience! I have a Coolpix A and an M10 + 22mm, they're both great, but very different handlers. I do like that I can easily clean the Canon's sensor. The comment is a little help stroke to the Canon. [Dust on sensor is much more likely to occur on an interchangeable lens camera, whenever the lens is swapped, than with a fixed lens camera]. Better sensor and better lens than the Canon. Is it really enough if a difference to justify it? The 24mp APS-C Canon sensor is brilliant with very high resolution, enormous dynamic range and very competitive lowlight performance. And the 22mm is one hell of a sharp lens! Yes, Canon knows how to make a sharp lens. But so do many manufacturers. Ricoh knows how to make a sharp lens with good colour. Canon doesn't, even if Canon does so accidentally once in a while. Can you shoot that Canon at ISO 10,000 (in raw) easily? The Ricoh is excellent at ISO 10,000. I never heard anyone complain about Canon colours, neither bodies nor lenses! I'm not commenting on Canon jpegs. Even good Canon lenses, lack colour subtly. Stopping the good ones down (say the 50 f/1.2 EOS SLR lens) can help. Could you elaborate? samples, opinions, comparisons? You have to get raws, not DPR studio samples, shot with the different lenses under very similar light, ideally outdoors. Of course the samples were shot with the lens fully open. It's quite easy to see how much better very good lenses render colour and light. The reason for this stopping down helping, which is something that can help even very good lenses from say Leica, is something you'll have to figure out. Up to a point, when lens tests say "this is the best 50mm full framed lens" that's an indication of better colour rendering. However lens testing doesn't actually test for what's easy to see. Such tests could likely be worked out. pentaust, still dust finds it way to the sensors of the fixed lens cameras and the only way to clean it is to almost completely disassemble the little camera! Usually this means sending it to a lab for 2-3 weeks and paying +/-$80. Wish I could transplant this lens into my Olympus XA. This is suprisingly good. Instead of dwelling on what isn't there (that's for DPR comments) Chris explains where the GR excels and that it's fun to use. If you need other features, don't like a 28mm lens or want a camera that isn't fun to use, the GR would be a poor choice. The singular barrier for me acquiring one as I was expecting to do, the price. Once it's rolled back to the $699 (US) range I just might buy it. Excellent video review which quickly points out pros (and cons) of the GRiii. Demonstrating usb charging in a real life situation was a nice touch given that battery life is low. I may have missed hearing it mentioned (although I did see it in action); for me one of the advantages the GR series has over either my iPhone or K-1 is the ability to use it single handed. It may seem like a small point, but in use it makes a huge difference for street photography. Thanks for compiling and posting this review, even if consequently it's going to cost me! PS The clip on GV-2 viewfinder is, for me at least, a must have and much neater than the GV-1. The single-hand operation is nice, and a feature I enjoy with Nikon 1 cameras, like the V1 and V2, but most thought out with the old Olympus C-8080, where everything is easily accessible with your right hand, even the zoom. That would be a camera for Olympus to reissue, with an m43 sensor, of course! It is about the size. The sensor. The lens .Its GRIII. Love or hate it . I don't like video reviews. I hope they ain't became DP's default review format. Reading a review I need to continously go back and forth searching or comparing data. I need to examine graph and charts with calm, something very difficult to do with a videoclip. Different staff, different countries, neither is taking time from the other much less supplanting each other. Video reviews and written reviews are not mutually exclusive and each serves a different purpose. Doubtless DPR will compile a detailed written review as well. I certainly found the video review both informative and persuasive for a number of reasons. Well done Chris and DPR. The videos are fine as a supplement. They're great to hook in the youtube crowd and the photographers turned cinematographers. And video is so very much NOW, like 8mm in the '60's. But please, anchor that video to a properly written review. As easyliving points out, videos can not be absorbed and processed to the same extent as a written one. I like them...as a supplement to a FULL written review. But some sites have abandoned written for video, and that is a huge fail. Fully agree. Much easier to jump to sections of interest and read instead of all this talking. It is fine as a supplement as someone says, but not for a full review. Yes video is great for cameras DP's staff won't write a deep review. How ironic, that a video review of a device meant to record videos (and photos) is somehow cause for resentment .,.. Barney is spearheading our written review of the GR III, keep an eye out for it in the coming weeks. "a video review of a device meant to record photos (with video an obligatory add-on) is cause for resentment "
I love the menus below the video review that make it possible to quickly access the items of interest. Makes the video review much more useful. With that menu, I now find them great for a quick look rather than a deep dive into a product I am considering buying. These video reviews are the best thing on DPR and the best on YouTube. The video reviews are nice, but it is essential to also have the written ones. Hopefully the written ones also help many of the members to improve their poor spelling skills. Still waiting for traditional cam companies to make a camera that is an Android device, w easy WIFI connection, capable photo editing including AI processing and easy uploading to cloud and SNS, then it will sell. If traditional cam companies can't beat back smartphones, they will lose market at 20%-30% a year until their investors consider the companies are wasting valuable resources and force them to exit. The customers who stopped buying cameras, and are happy with their smartphones, won't return to the camera market no matter what features are added to the cameras. The smartphone crowd simply doesn't find dedicated cameras appealing, because everything they need is right there in their pocket already. Many mirrorless cameras offer a pancake lens or other compact option. If you’re willing to carry on a wrist strap instead of in your pocket, you can forego the dedicated purpose. I do this quite often. I imagine pocket carry is a big part of the appeal here, even the smallest mirrorless cameras (GM1) with the smallest possible pancake (14/2.5) isn't gonna fit into pants pockets or a shirt pocket without an unsightly bulge... I dunno where the GR falls exactly in that spectrum but if it's the size of a GM body sans lens or something like a Canon G9X then I can definitely see the appeal and the advantage vs say a Fuji X100. We're spoiled for choices these days really... After owning the GM1 & GX850 and recent phones I'm not sure I'd want anything in between personally but I can easily see why others would. The meh low light AF and video limits the GR's appeal somewhat for me tho. well then size and stealth is not your priority, this camera is for a niche market , street photographer. 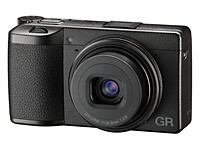 The GR are for people who want to have a streamlined camera. If you are looking for features rather than flow its not the camera for you. There are considerable advantages to a fixed lens and, every other decision behind the design and feature set of the GR. Most photographers will understand if they try it out. Doesn't mean it's for everyone. The idea that it's only for street is wrongheaded it's a 'snapshot camera' as advertised. @GoodKnight M100 FTW. w/22mm it is smaller and faster to start and takes great images. I think, and it could be me, but the GR has far better dynamic range than a iPhone.. I think right? Great video summary as usual. I've been quite happy with my NIkon CPA but now I have to decide if I should get a GRiii. BTW there is a strange green cast over Chris's face at around 6:25 minutes into the video. Hmmm...the green cast doesn't seem to occur on the YouTube download just on the stream from DPR. It is a shame Nikon is not capable to give a successor to the Nikon Coolpix A.
Nikon was certainly disappointed that nobody agreed to pay a (large) premium for an APSC compact camera. But Ricoh was able to do similar for lesser price. But Nikon could have created a great momentum with a better marketing, and more firmware updates (including a "snap focus"-like option). I am sure they are capable but it doesn't seem as if they feel it worth their while. Sad as I love my CPA but this GRiii does seems to have a lot going for it. 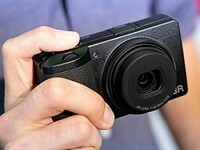 Did I miss a comparison to the Sony RX100 series? Truly pocketable, curous how the performance compares to the Ricoh. Far more sophisticated autofocus, a zoom lens, built in viewfinder, built-in flash, longer battery life and excellent video. But perhaps slower to start up (lens has to extend, focus), and less responsive, which are trade-offs of its complexity.